The Cole Clark Fat Lady 2EC in Cedar Blackwood is a beautiful warm sounding acoustic guitar due to the solid cedar top combined with solid blackwood back and sides. Cedar tends to provide a warmer tone when compared to other timbers such as spruce and bunya and the solid blackwood back and sides on this FL2EC not only help to make this guitar sing but also look amazing. The Cole Clark FL2EC in Cedar Blackwood uses a She Oak fretboard and boasts a cutaway as well as Cole Clark's own 3 way pickup system which sounds amazing! 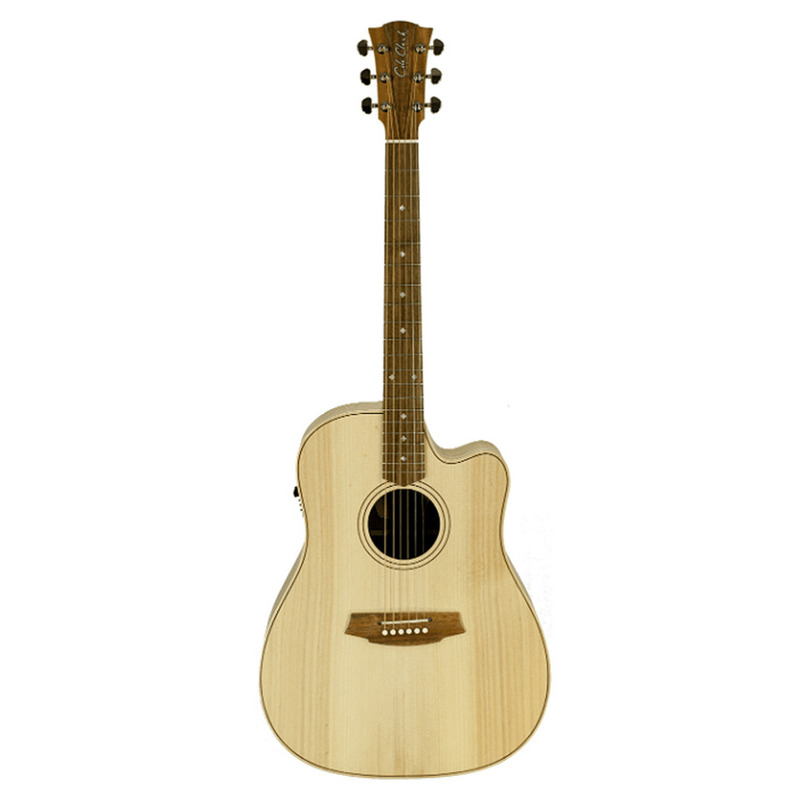 At Haworth Guitars, we live this FL2EC and would recommend it for anyone who wants a high end, well built, warm sounding acoustic guitar which provides good value for money.